No nominees or winners paid a submission fee to be considered or chosen, and we strictly limited the number of award winners, evaluating products based on various criteria, including play value, safety, price point vs. quality, factors of social or environmental awareness, favorable review from retailers, consumers, experts or TDmonthly staff, and successful presence in or availability to the specialty market. By accessing the Report (free of charge), buyers gain access to safety and testing information — including links to CPSIA compliance certificates for select manufacturers, retail and wholesale pricing info, video demonstrations, and retailer comments and product reviews, in addition to seeing where a product is manufactured. New York City Subway Wooden Railway 42 Street Shuttle Loop and Terminal Set by FAY GRAPHIC DESIGN LTD.
Other products from FAY GRAPHIC DESIGN LTD.
Munipals' first train and track set is a great starter set for any subway fan. The set comprises two 42 Street Shuttle cars and 19 track pieces, enough to build ovals, loops, and straight shuttle runs over 6' long. Being the only IRT shuttle in the system, the real 42 Street Shuttle carries nearly a quarter million people every week. It runs on tracks only 20' beneath the street, with each of the three shuttle trains making an average of 360 runs each day. Other products from MINDLOGIC INC. 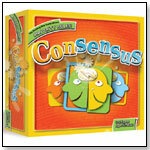 Consensus is not a trivia game or a strategy game. It is a game about opinions that allows its participants to express themselves as individuals or as part of a group. 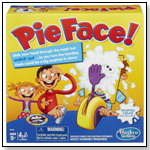 Ideal for parties or family settings, the game has a subtle, yet strong, educational component. Consensus consists of 300 Noun Cards, 100 Adjective Cards and 80 Voting cards. An average game lasts about 30 minutes. Although Consensus can be played with as few as three players, the greatest benefit can be derived when there are five or more players participating. The more players, the more opinions, and hence, the more debating and bonding that takes place. Launch date: August 2008. — "This fun and fast-paced social game takes about a minute to learn and requires no prior knowledge of anything whatsoever," Marshall Chrein, CEO of Mindlogic, told TDmonthly. "It is a game where you can learn how your friends and family view all sorts of things." PakNaks are soft, rubbery 3-D decorations designed for kids (and adults!) to use to personalize backpacks, lunch bags, headbands, computer bags, household items and more. There are more than 40 available designs. Customized Velcro makes them interchangeable and weather resistant, and they quickly and easily adhere to surfaces. Robert measures 2.5” x 2.5”. 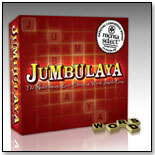 JUMBULAYA is an award-winning, multi-faceted word strategy game in which players rearrange, add, and trade tiles on the board to build and claim longer and longer words each turn. As players build words horizontally, they also look for a Jumbulaya - a word of seven or more tiles that can be seen vertically on the game board. "Jumbulaya is a word strategy game where players need to THINK ON MULTIPLE LEVELS simultaneously," said Karl Archer, CEO and cofounder of Platypus Games. "It incorporates strategy into the game play, as players are able to add, as well as remove, tiles from the board and think many moves ahead in order to try to win." It has won a 2008 Mensa Select Gold Seal and iParenting Media Award. Launch date: 12/15/2007. Ever felt that your feet are too big or your ears stick out? If so, you will be able to relate to Rue, The Monster of Insecurity in his new story The Nose That Didn't Fit. Follow his silly antics as he attempts to change himself only to find out that beauty is in the eye of the beholder. In this, the second book of the WorryWoo series, Author Andi Green explores the emotional world of insecurity through captivating illustrations and a playful tale. 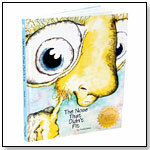 Rue and "The Nose That Didn't Fit" won a 2009 Excellent Product Award from iParenting Media and the 2009 Toy of the Year Award (category: storybook and plush) from Creative Child Magazine. These hamster-themed erasers are available in six assorted colors. They can be taken apart and put back together like a puzzle. — As of 05/13/2011 this product had 5 out of 5 stars from 10 reviews on Amazon.com. Cons: Not suitable for younger children because the small pieces constitute a choking hazard. — Belmont Toys in Belmont, Mass., sells from 800 to 1,000 Iwako erasers monthly, Manager Gage Brownell told TDmonthly in October 2008. Style Paige LLC introduces Shailie™: going beyond “dress-ups.” With Shailie™, girls design, create, and wear their own fashions. Shailie™ includes a life-size designer dress form and stand. Shailie™ dresses come in pieces. Sleeves, skirts, tops, and accessories come in various styles, colors, and lengths. All pieces easily attach and detach; girls can mix and match creating endless looks to wear. Launch date: February 13, 2009.